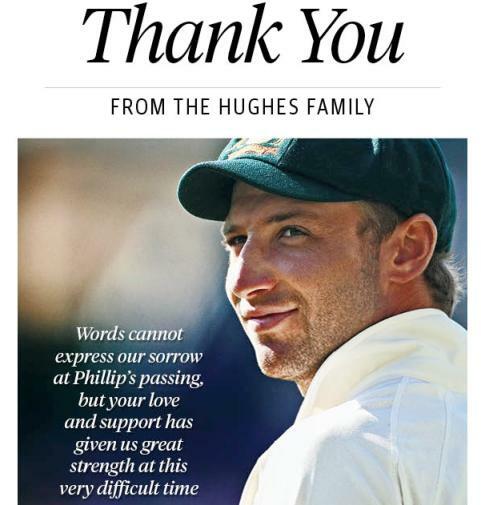 Wellington, Dec 14 : Late Australian batsman Phillip Hughes' family reportedly took out full-page messages in newspapers around Australia on Sunday to thank the nation for its support since their son's passing. 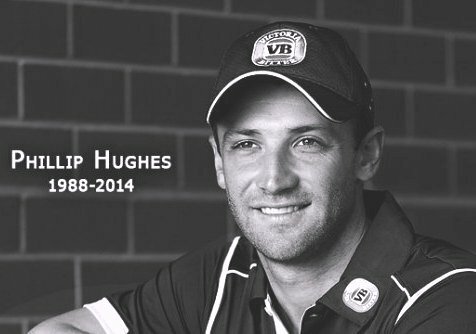 The message, which was published in News Corp Australia papers, is reportedly topped with a simple 'Thank You From The Hughes Family' and a photograph of the late batsman in his baggy green cap. Sydney, December 09 : Australian opening batsman David Warner has dedicated his splendid ton amassed against India to late cricketer Phillip Hughes, in order to honour his memories. Amassing a blistering 145 runs, Warner rated the innings as his best in Test Cricket, adding that he dedicates this ton to Hughes. He further said that Hughes was there with him when he scored his first century and also at the other end, News. com. au reported. 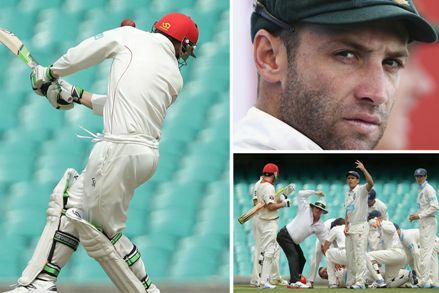 Sydney, November 28 : Australian team doctor Peter Bruckner has revealed that Phillip Hughes' condition was an incredibly rare one that engendered a hemorrhage in the brain due to the injury to the neck. According to Bruckner, Hughes suffered a condition named as Vertebral Artery Dissection , a rare condition with about 100 ever reported cases. Doctor Tony Grabs of St Vincent's Hospital has termed the injury as catastrophic, News. com. au reported. An arterial dissection is a tear in the lining of an artery. When that tear happens in a major artery in the head and neck, it can seal off blood flow to the brain. Sydney, Nov 27 : Australian cricket team doctor Peter Brukner has said that deceased batsman Phillip Hughes suffered a massive bleed into his brain on Tuesday afternoon. 25-year-old Hughes passed away after succumbing to injuries he endured at the SCG on Tuesday after being hit by a bouncer under the helmet behind his left year. The 25-year-old South Australian batsman, who was pushing for a Test recall against India in Brisbane next week, was knocked out after the ball made impact. New Delhi, Nov 27 : Cricketers and fans together took to Twitter to show their support and empathy for Australian cricketer Phillip Hughes passed away on Thursday. Hughes succumbed to injuries he endured when he was hit by a bouncer at the SCG on Tuesday. The 25-year-old South Australian batsman, who was pushing for a Test recall against India in Brisbane next week, was knocked out after the ball made impact under his helmet, behind his left ear. Fans and cricketers took to social media to show their sympathy for the deceased cricketer and his family and friends. Sydney, Oct 23 : Australian batsman Phillip Hughes is reportedly hoping to reignite his hopes for a Test recall in the winter Ashes series with his composed showings in the one-day format in India, after being dumped from two Tests into the summer Ashes in England. Hughes endured a horror series in Australia's miserable Test tour of India earlier this year, scoring just 147 runs at an average of 18.38, that led to questions on everything from his ability to play spin to his future in the Test team. Sydney, Feb 12 : Australian cricketer Phillip Hughes believes he can replicate his form in India''s spin-friendly conditions, following a quiet chat with Michael Clarke. After earning a recall to Australia''s Test side in Hobart last year, Hughes posted Test scores of 86 and 87 against Sri Lanka and then two one-day centuries against the tourists. It prompted paceman Peter Siddle to label him one of the key men in the four-Test series, which starts in Chennai on February 22. Colombo, Aug 25: Australian opening batsman Phillip Hughes has said that he feels desperately sorry for `dumped' Simon Katich, but admitted that he wants to do the best he can to be the experienced batsman's replacement. Hughes will open for Australia in the three-day tour match against a Sri Lankan board selection, which started today in Colombo, and he is also expected to do the same in the three-match Test series against Sri Lanka. Sydney, Jan 2 : Australia have called New South Wales (NSW) batsman Phillip Hughes as a cover for injured opener Simon Katich for the second Test against Pakistan starting here Sunday. National Selection Panel (NSP) chairman Andrew Hildtich said Katich, who is also the NSW captain, hasn't fully recovered from the arm injury he sustained during the first Test in Melbourne. Melbourne, Dec 21 : For Phillip Hughes, recall to the Australian squad for the Boxing Day Test is the best Christmas present. The left-hander was named in the 13-man squad as cover for captain Ricky Ponting, who is still recovering from an elbow injury sustained in the third Test against the West Indies. Hughes, the New South Wales (NSW) opener, shone with the bat in the last two Sheffield Shield games which include a 122 against Victoria in Newcastle this week and 75 in the Blues' first innings against Queensland at the Gabba. Melbourne, Dec 21 : Australian opener Phil Hughes makes a comeback to the Test side for the first Test against Pakistan at the Melbourne Cricket Ground (MCG) from Dec 26. The National Selection Panel (NSP) chaired by Andrew Hilditch Monday selected Hughes in the 13-member squad for the Boxing Day Test. "Phillip Hughes has been added to a squad of 13 players for the Boxing Day Test match against Pakistan. While Ricky Ponting is expected to be fit for the Test, the NSP has picked a squad of 13 players for the match so there is adequate cover in the event that Ricky Ponting does not recover as quickly as is hoped," said Hilditch. Sydney, Nov 28 : Phillip Hughes, who is desperate to regain his spot at the top of the Australian order, reminded the national selectors of his potential, as New South Wales put Western Australia on back foot on day one of the Sheffield Shield clash at the WACA. Hughes hit 12 boundaries on the way to a quick-fire 58 off 65 balls to help the Blues cruise to a first-innings lead yesterday. NSW reached 4-168 at stumps, a lead of 37 after bowling out Western Australia for 131 in 40.2 overs. Sydney, Nov 17 : Australian opener Phillip Hughes'' hopes of earning a Test recall have been dented after he failed to complete the one-day game against Tasmania. Hughes, who is playing for New South Wales in the domestic tournament, injured a finger on his right hand while attempting to take a slips catch during the six wicket one-day loss to Tasmania at North Sydney Oval. Sydney, Sep. 13 : Out of favour Australian opening batsman Phillip Hughes had lunch and a long one-hour chat with Sachin Tendulkar when he was in India. He also spent some time in Nagpur with his coach Neil D` Costa, who is contracted to the Vidarbha Cricket Association academy. "The first thing Phillip said when he arrived was ''I can''t change the past, but I can prepare for the future''," the Sydney Morning Herald quoted D''Costa, as saying from Nagpur. London/ Nagpur, Aug 28 : Sacked Australian opener Phillip Hughes is determined to make his way back into the squad and hopes to return against the West Indies in the first Test at Brisbane. Hughes, who was axed after the Lord''s defeat against England, has been training in India with his coach Neil D''Costa and even has a chance to have a one-on-one session with Sachin Tendulkar this weekend. London, Aug. 12 : Dumped Australian opener Phillip Hughes has declared he has no fear of the short ball, citing his enormously successful debut tour in South Africa as proof it is not a major flaw in his game. Hughes also retained hope his Ashes series was not over despite his replacement Shane Watson excelling at the role with three half-centuries in as many innings. The Australian team selectors have axed opener Phillip Hughes from the playing elevens for the Edgbaston Test, which is going to start from today. Hughes will be replaced by all-rounder Shane Watson. Hughes was unable to perform to his potential in previous two test matches. He scored 36, 4 and 17 in the two test matches at Sophia Gardens and Lord's while he managed to score only 10 and 68 in the practice match against Northamptonshire. London, July 15 : Australian opener Phillip Hughes has said that he is eyeing off another showdown with giant England quick Steve Harmison, who has been drafted into the host squad for the second Test, beginning at Lord''s tomorrow. Harmison twice bounced out Hughes in a tour match at Worcester and England insists the 20-year-old opener has a clear weakness against extreme bounce. "Whatever is in front of me I''m looking forward to it - for me I look for challenges and this will be a challenge but that''s what Test cricket is all about - tough and uncompromising and that''s what I like," The Telegraph quoted Hughes, as saying. Sussex (UK), June 27 : Australian opener Phillip Hughes was once again amongst the runs, 13 days before the first Ashes Test against England to be played at Cardiff from July 8. Hughes, Ponting and Clarke all passed 70 and the Australians declared their second innings against Sussex with a lead of 417 so as to give the bowlers a second crack at the county batsmen on Saturday. 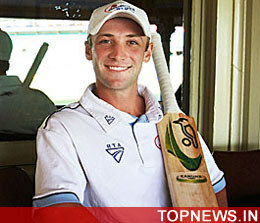 Sydney, May 19: Australian opener Phillip Hughes has said that he is ready for anything, even failure. Currently playing in England''s division two county cricket with Middlesex, Hughes will be the focus during the Ashes for both nations.